The identity of bitcoin creator Satoshi Nakamoto continues to be one big dramatic, confusing question mark. 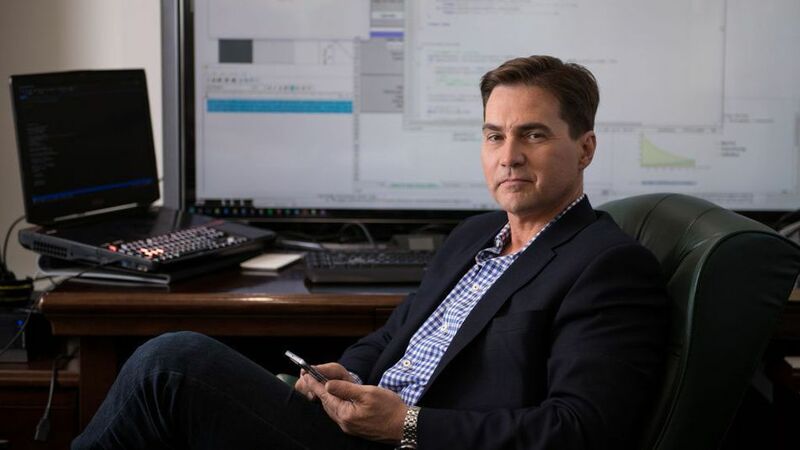 On Monday, The BBC and The Economist and GQ all reported that Australian businessman Craig Steven Wright made a very credible claim to be Nakamoto. Backed by a blog post by Wright — and with the support of Bitcoin Foundation chief scientist Gavin Andresen — it looked like we might finally know the identity of one of technology’s most elusive figures. Wright, you may recall, was previously pegged as Nakamoto in reports from Wired and Gizmodo last year. Those reports were immediately scrutinized, with Wired later reporting it felt Wright’s claim of creating bitcoin may have just been an elaborate hoax. But this time it was supposed to be different. Not only did Wright pen his own blog post claiming to be Nakamoto, Bitcoin Foundation chief scientist Gavin Andresen — a man that used to be the bitcoin project lead — wrote that he, too, believed Wright was the elusive bitcoin creator. Still, Andresen’s support hasn’t been enough to quell suspicions and skepticism in the bitcoin and security communities. In fact, many are more sure than ever that Wright is still perpetrating an elaborate hoax. Wright’s claim that he is actually Satoshi Nakamoto all comes down to signed cryptographic keys. Wright claims to be in possession of cryptographic keys that only the real Satoshi Nakamoto would have access to. Cryptographic keys work in pairs. There is a public key and a private key. A user can sign (encrypt) an email or file with their private key and it can be validated as belonging to that person by being decrypted with the public key. For years, there has been discussion in the bitcoin community about the veracity (or even existence) of a private key belonging to Satoshi Nakamoto. Jerry Brito and Peter Van Valkenburgh from the bitcoin research and advocacy non-profit Coin Center, penned a blog post last week laying out some assumptions about this purported Satoshi PGP key. There is a PGP public key that is purported to have belonged to Satoshi Nakamoto (the “Satoshi key”). Signing with a PGP key does not prove someone’s identity; it only proves that the person signing has access to the private key. Typically, before relying on a PGP signature as a proxy for identity, one would want to verify in person that the signer has access to that private key and then trust that the signer has not given, or lost, control of the key to a third party. If an in-person verification is not possible, a less-reliable alternative way to link identity to a public key is to publish the key from social network accounts or web domains that one controls, thus implying that control of the accounts and control of the key is under the same person. As far as we can tell, there is no evidence of Satoshi ever signing a message with the Satoshi key or any PGP key. In other words, not only is there not enough evidence that Nakamoto ever actually signed a message with a PGP key, even if Craig Wright (or anyone else) produced a message signed by that private key, that still wouldn’t be enough to prove identity. On this point, Craig Wright agrees, and he told the Economist that even though he has the private PGP key that may or may not exist, using it won’t prove anything. Instead, his cryptographic proof is that he has access to a private key that can be linked to a bitcoin address mined by Satoshi Nakamoto. And on his blog, that is what Wright has done. Wright offered up some signing scripts which he says can be validated to prove that the signing signature Wright claims to belong to him links back to the bitcoin address many believe Nakamoto mined early on. @patio11 @dakami the whole thing is fishy af. It is trivial to demonstrate ownership of a private key. Why this bizarre cumbersome process? Satoshi signed a transaction in 2009. Wright copied that specific signature and tried to pass it off as new. OpenSSL bugs interfered. The problem is, according to some security experts, that the key Wright used for his example is worthless. Moreover, the OpenSSL verification process some users attempted to use to validate the signature failed. However, this error was later attributed to different versions of OpenSSL and the signature Wright included on his blog was indeed validated. But validation didn’t stop the skeptics. The debunking started on Reddit in r/Bitcoin. User JoukeH reported that the signature used in Wright’s blog post wasn’t actually assigned to a specific message (as it claimed) but was instead a signature inside a 2009 bitcoin transaction. How is Gavin Andresen involved? The curious part, for many in the bitcoin community, isn’t that Wright is perpetuating another hoax, but that Gavin Andresen would be involved. Craig signed a message that I chose (“Gavin’s favorite number is eleven. CSW” if I recall correctly) using the private key from block number 1. That signature was copied on to a clean usb stick I brought with me to London, and then validated on a brand-new laptop with a freshly downloaded copy of electrum. I was not allowed to keep the message or laptop (fear it would leak before Official Announcement). I don’t have an explanation for the funky OpenSSL procedure in his blog post. Does Satoshi’s identity even matter anymore? If Craig Wright is Satoshi, there is little chance he will be able to convince the many skeptics. Even if Wright were to do everything Brito and Van Valkenburgh outlined in their blog post last week, that still wouldn’t necessarily be enough to prove to them (or to anyone) that he is actually Satoshi. In fact, I suspect that even if there weren’t clear problems with the data Wright submitted as “proof” — the goal posts for accepting anything he has to say would continuously be moved by others. This will probably continue to be true for any party claiming the be Satoshi in the future. The press has tried at least half a dozen times to unveil Satoshi. And thus far, it has failed to convince anyone that it has unearthed the bitcoin creator. Which begs the question: Does the identity of Satoshi Nakamoto even matter? Sure, it would be nice to know. One more Internet mystery solved. But at a certain point, isn’t this more a distraction than anything helpful? Satoshi Nakamoto left the project. And although his work is seminal and important and the foundations of the blockchain are incredibly far-reaching, Satoshi’s identity isn’t of utmost importance to the future of bitcoin. Moreover, the bitcoin world has more pressing problems than ascertaining the identity of one of cryptocurrencies greatest minds. On Monday, The BBC and The Economist and GQ all reported that Australian businessman Craig Steven Wright made a very credible claim to be Nakamoto . Wright, you may recall, was previously pegged as Nakamoto in reports from Wired and Gizmodo last year. Those reports were immediately scrutinized , with Wired later reporting it felt Wright’s claim of creating bitcoin may have just been an elaborate hoax .